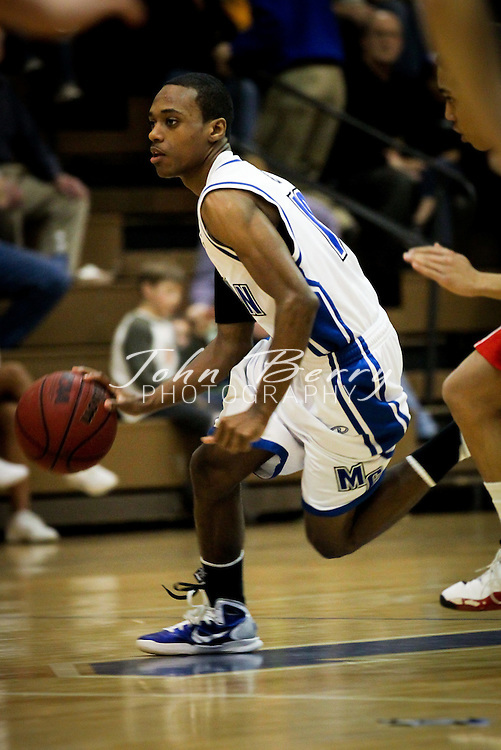 January/14/11: MCHS Varsity Boys Basketball vs George Mason. The Boys Varsity Basketball team lost at home to George Mason tonight 59-47. Madison was led by Travis Warren with 17 points. Nick Paxton added 11 points and Patrick Roebuck tossed in 10. Madison is now 4-10 overall and 2-1 in the Bull Run District.